annexed thereto; (L) for loan means the car’s tracking device; (M) for sale is the purchase of the tracking device. Being the service subject to continuous updates and can find a complete description of the latter referring to the relevant section on the website of Dogma, at www.dogmaguardian.com. Client in the recording – the acceptance of the order confirmation. The Contract shall be deemed concluded even through paper-based procedure, after sending via fax or email of the purchase and of this contract duly signed by the customer. 3.2 Dogma reserves any more and wide discretionary to accept or not to accept the purchase request submitted by you. 3.3 The Customer agrees that the acceptance of Dogma can happen, also implicitly, including, without limitation, enabling the User to use the Service MyGuardian GPS locators or shipping address indicated by the customer. 4.1 The contract will last 12, 24 or 36 months, extendible tacitly, and is effective between the Parties by the acceptance of the purchase User by Dogma. of its willingness accordance with the procedures set out in section 16.
be made within 10 days from the confirmed receipt of the letter. 5.1 Payment of the service delivered to the customer during the period of validity of the contract and reported in the Price prepared unilaterally by Dogma, which must be understood expressly accepted by the customer with the confirmation of the Order of acquisition. 5.2 Dogma reserves the right to introduce at any time adjustments to rates that will be binding for the customer according to the procedures provided for in paragraph 9) and subject to the right of withdrawal of the customer. 5.3 The first invoice will be issued in during the expedition of the locators to the customer and the subsequent ones will be issued with a monthly periodicity and sent in electronic mode. 5.4 The payment will be charged to the customer by means of Wire Transfer on the fifteenth day following the date of billing or alternatively with a charge on your credit card on the day of delivery devices. 6.1 The customer will be able to access the Service MyGuardian GPS, using authentication credentials, such as using name and password that will be communicated via email from Dogma at the end of the procedure of purchase on line. 6.2 Dogma is expressly exempted from ascertain the true identity of those who access the service and their effective connection with the customer and with IN YOUR indicated at registration. 6.3 The customer assumes all risks related to the misuse of name and password from those to which the customer has directly or indirectly revealed that data. 6.4 The Customer acknowledges and agrees that in order to use the Service and must equip itself independently of suitable equipment hardware and software and a service connection to the Internet compatible with the standard of service provided by Dogma. 6.5 In no event Dogma will be held responsible for the malfunction of the Service, or prejudices that Customer may arise for facts and causes attributable to inefficiency of its hardware and software and / or Internet connection used by the customer, and / or any other third parties to provide necessary use of the Service. at the expense of the customer. 7.2 In case of withdrawal of the Parties or in any case of termination, the Customer must immediately return the tracking devices and any accessories supplied equipment without need of any specific request for return by Dogma. 7.3 In the event that the / the device / the localization and any equipment accessories were not returned by the customer within 10 days after discontinuation of the contractual relationship, Dogma reserves the right to apply an indemnity detention Untitled daily Rs.100 for each locator not returned. 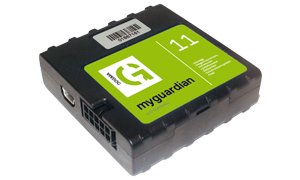 7.4 The Customer undertakes to use the tracking devices and any equipment accessories rented, alternatively, purchased, for the purposes connected with the use of the service MyGuardian GPS, undertaking not to tamper with them even in case of malfunction of the same. The customer is the only responsible in case of misuse or illegal devices electronic that may violate privacy and confidentiality of communications, exempting Dogma and the manufacturer from any liability for any civil and / or criminal penalties, in economic losses, assets, tangible, physical or moral, without reservation. These devices are intended for personal use only, for example to protect yourself or your family from abuse of others, its assets, its activities or even for Amateur Radio use, educational, experimental and scientific as well as for law enforcement. It also declines all responsibility for improper or illegal use of products, resulting from their disposal, free or not, by the Customer to third people. 7.5 In the case of malfunctioning when on rent, except as will be said in paragraph 7.9 – Dogma will provide free replacement of the defective device. Is not scheduled for replacement in case of purchase. 7.6. The Customer agrees in any case to use the devices in accordance with the rules governing the sale, if such assets were purchased. considered full responsibility of the same. The customer also assumes full responsibility on the possible risk of damage or loss of goods during transport. Goods are always at risk of the recipient. A goods ready Shipping time depends on the nature of the item ordered, the state of stocks in the order. Normally except for exceptional reasons of force such as the strike of transporters, serious attacks, disasters can not be foreseen for natural causes etc. Shipments are almost always within 30 working days of receipt of payment. Dogma preserves the property of the locators to the balance of the payment of the final instalment of the price, including any taxes or fees. Quality in compensation for the damage and for the use of the goods by the customer, prejudice and prejudice to further action for damages. 7.8 Any damage caused by collisions, accidental drops, liquid spills, burns, and short circuits or otherwise caused by improper with respect to the information provided in the Installation Manual or the tampering of the same, as well as failure to return, even if due to theft or loss, will imply the obligation of the customer to pay Dogma in the amount of Rs. 10,000 plus VAT law, for each device is not returned or returned in conditions other than delivery. by way of example but not exhaustively: breakdowns, maintenance, replacement of equipment, interventions of ordinary and extraordinary, system implementations. 9.1 Dogma reserves the right, at any time, to change the mode and conditions of service, the technical specifications, the Price list, the General Conditions. 10.1 The Customer undertakes to use the Service only for lawful purposes, undertaking to indemnify and hold harmless Dogma from any damage accruing to it from an unauthorized use. as is the service, including, merely by way of example only, databases, information, trademarks, patents, logos, locators and any other graphic and / or structural made available to you through the Service, being such property owned exclusive to Dogma Systems. saturation during particular times of the day. considered immune from intrusion and therefore the transfer of passwords, codes, and more generally any other confidential information is communicated by you at your sole risk. 13.1 The user expressly consents to the direct and / or indirect Dogma, the data necessary for the use of the Service as well as their storage in databases of Dogma. You further agree to expressly direct transfer and / or indirect data necessary for the use of third-party applications as part of the Service as well as the storage and retention of such data. 14.1 The Customer may not transfer to third parties, it free of charge will not, temporarily or permanently, this Agreement without the prior written consent of Dogma. part, a company within the group which covers Dogma or to others, except, in the event of sale to third parties, the possibility for the customer to freely withdraw from the Contract, in the mode described in point 4. 15.1 Dogma will have faculty to terminate the Contract in all cases of violation or non-performance by the Customer to the obligations assumed under this Agreement. 15.2 In any case, with the termination of the infringement by Customer, Dogma will have the right to withhold payments already received from the customer for any reason, except for the right to compensation for additional damages. fees owed by the Customer. The non-payment of only two instalments to the deadlines and in the manner agreed upon constitute valid grounds for termination. 16.2 All communications regarding the Agreement will be sent from Dogma to the Customer, via e-mail, at the address indicated by the User during registration or subscription of the purchase form, which considered unique and exclusive address for all communications. 17.1 This Agreement and governed by Indian law. Any dispute concerning the subject matter of this Agreement, including its interpretation and execution, will be referred to the exclusive jurisdiction of Uttar Pradesh. 18.1 The customer to use the service provided by Dogma, having read the attached hereto, Dogma authorizes the processing of their personal data.